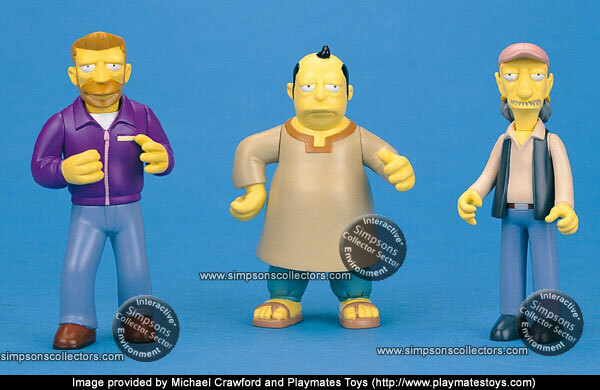 UK Series 8 non-interactive figures include: Dr. Hibbert, Snake, Sunday Best Grampa and either Radioactive Homer or Mascot Homer. Presumably they will be interactive (like the previous four waves) despite being labelled 'non-interactive' on the packaging. 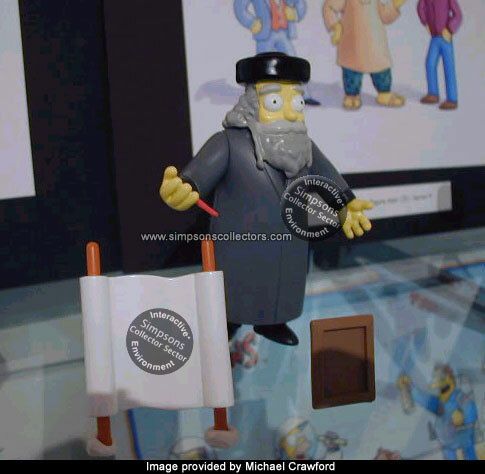 A figure of Jackie Mason as Rabbi Krustofski was originally planned for release with the "All Star Voices" series 2 but was cancelled for reasons unknown. 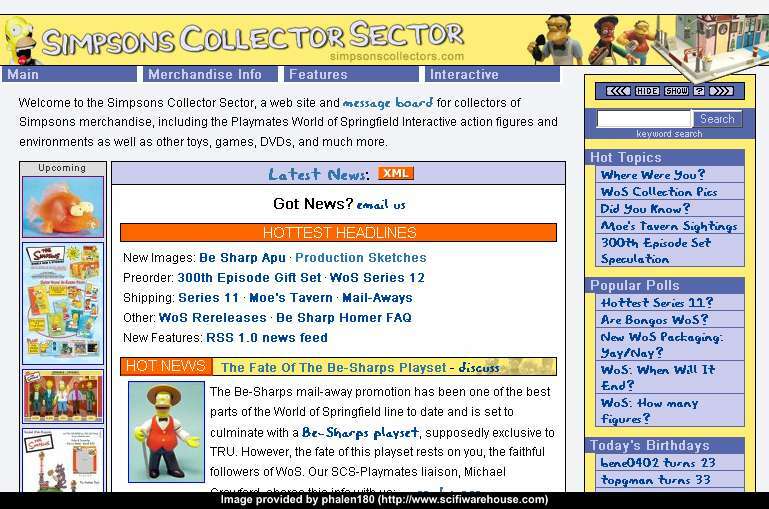 This series was cancelled: Cooder and Llewellyn Sinclair were released as online mail-away exclusives and Hank Scorpio was added into the WoS series 10 assortment. The original lineup of All Star Voices Series 3 included Phil Hartman as Lyle Lanley. In April, 2002, Playmates Toys updated their website with a list that included Jim Varney as Cooder in place of Lyle Lanley. All Star Voices series 4 figures were to include Jon Lovitz as Artie Ziff, Michelle Pfeiffer as Mindy Simmons and Patrick Stewart as Number One. Playmates Toys stated that these figures will be incorporated into the regular line, beginning with Number One in Series 12. 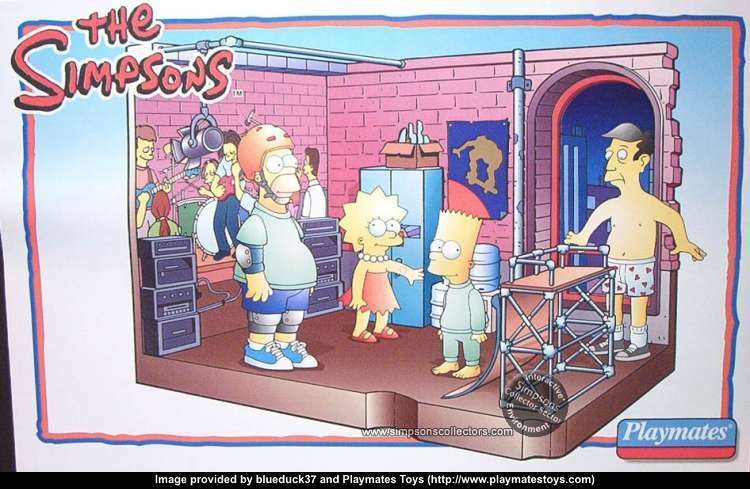 A playset featuring Homer and Mindy Simmons in a workplace environment was shelved; it was planned as part of the All-Star Voices line, but was cancelled when that line ended. Early reports indicated that THOHIII would include Raven Bart and Alien Maggie figures. In late April, 2002, Playmates Toys posted an official release list on their website which replaced Raven Bart and Alien Maggie with Hugo and Dream Invader Willie. Have an item in your collection that isn't on our list? Please use our suggestion form to help us complete our release guide.